Katharine Koeppen, RA, LMT, NCTMB, is a nationally registered aromatherapist, seasoned clinician, author and educator with twenty years in aromatic practice. In 2000, she founded Aromaceuticals®, a company dedicated to providing artisan-distilled essential oils for clinical professionals and aromatherapy ensiasts. 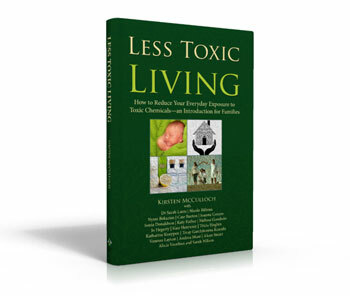 Katharine is a popular instructor and speaker on the subject of aromatics and healing, and her audiences have included community support groups, complementary/alternative healing practitioners and medical professionals. An avid and writer and blogger, her work has been published internationally by professional aromatherapy associations, magazines and peer-revie journals. Utilizing a bodymind approach to aromatherapy, Katharine simultaneously addresses a client’s emotional and psycho-spiritual state while dealing with their physical illness or imbalance. Since the beginning of her aromatherapy career, she has demonstrated a special affinity for working with fragile populations in the areas of mental health, oncology, hospice and liative care. Katharine is a professional member of Alliance of International Aromatherapists (AIA) and Associated Bodywork & Massage Professionals. She is the former national reprntative for AIA. A lifelong learner, Katharine has studied aromatherapy with industry luminaries from all aspects of the business. She is currently expanding her work in psycho-spiritual aromatherapy by pursuing a certificate in ecumenicapiritual direction. She resides in Dallas, Texas, where she maintains a heart-centered private practice in aromatherapy, specializing in somato-emotional integration, cancer support and women’s issues. Last year, she introduced clinical aromatherapy at Hoblitzelle Hospice, Baylor University Medical Center, where she is aromatherapist on call. When not experimenting with essential oils, Katharine can be found herb gardening or practicing ikebana. She may be contacted online at http://www.aaceuticals.com/. You can also find her on Facebook, Google+ and Twitter. Aromaceuticals® is a registered trademark of Katharine Koeppen.